Today’s digital workforce continues to challenge IT administrators with their increasing needs to be productive anytime. Balancing new workforce productivity trends, like BYOD, and the security essentials for industry compliance, enterprises need a robust user authentication, device compliance and secure access policy enforcement for their smarter Ruckus Wireless systems. 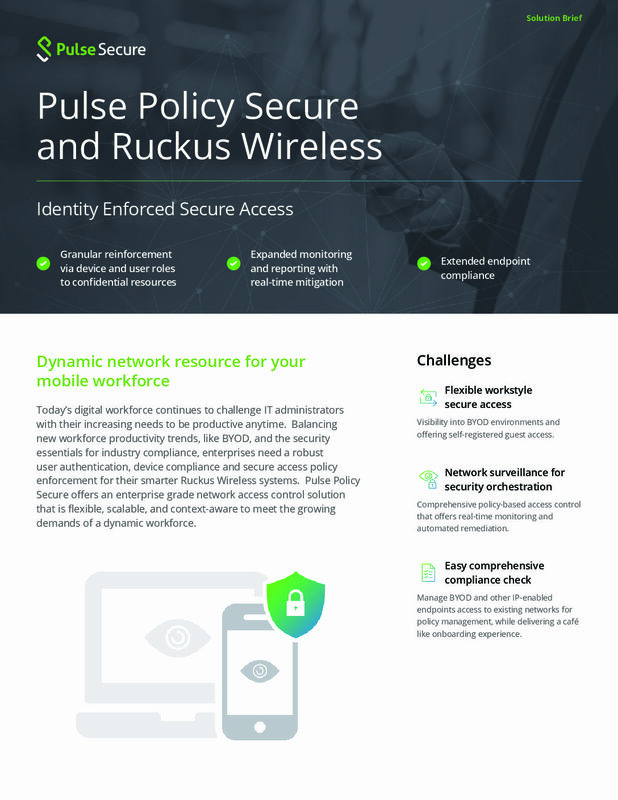 Pulse Policy Secure offers an enterprise grade network access control solution that is flexible, scalable, and context-aware to meet the growing demands of a dynamic workforce.